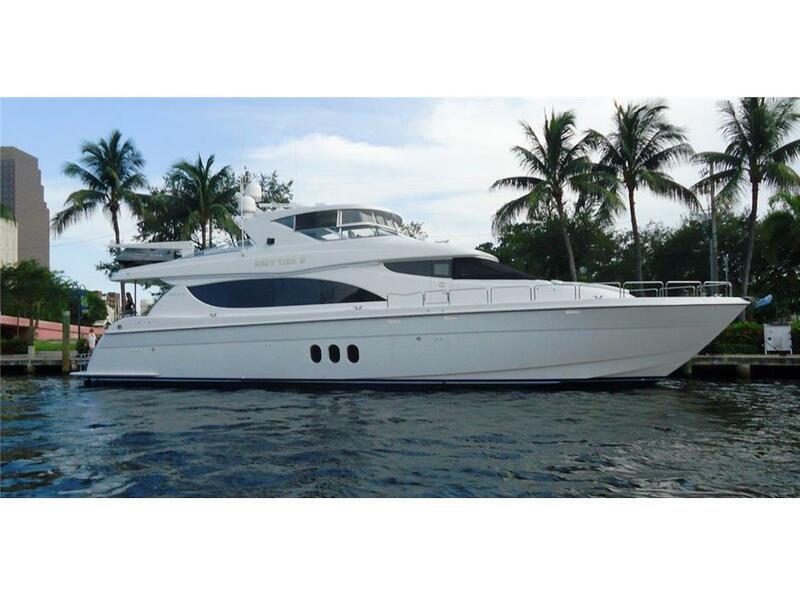 RJC Yacht Sales & Charter is pleased to announce the Sale of the 80' (24.38m) 2008 Hatteras, KNOT TIDE II! The 80' motor yacht Knot Tide II, has been sold with David Wiest, of RJC Yachts, introducing the buyer. Built by US yard Hatteras in GRP, Knot Tide II was delivered in 2008 as a Hatteras 80 model and has since been regularly upgraded. An interior in high gloss cherry wood sleeps eight guests in four cabins consisting of a full-beam master suite, two VIP suites and a twin cabin, all with en-suite bathroom facilities. The open plan salon was designed for entertaining, with an L-shaped settee and occasional chairs aft in the lounge area to enjoy an complete entertainment center. Forward is a formal dining area with seating for eight guests, while further forward still, the country-style kitchen offers a banquette where informal dining may be enjoyed at any time of the day. The aft deck comes with built-in seating, tables and a sun pad, while the flybridge offers an additional al fresco dining option, a full wet bar with stools and a barbecue grill. The entire flybridge can be air conditioned by utilizing the hard top and a full Eisenglass enclosure. Twin 1,650hp Caterpillar diesel engines give her a comfortable cruising speed of 16 knots. Knot Tide II was asking $2,995,000 and will be renamed Victory.